Paying from your mobile device will be something that will be just the norm for ‘retail’ in the future, until a new ‘disruptive’ innovation comes thru. In the future, I am thinking of being able to sell my products at events such as conferences, workshops and expos and will need to be able to have some form of mobile POS (Point of Sale) access whether it is via a traditional mobile POS from one of the major banks or via a specific product that is syncs with mobile devices whether it is a smartphone or a tablet. 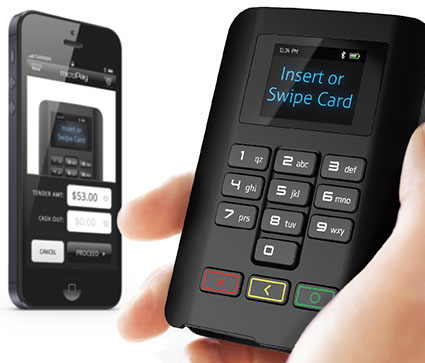 Security: Recent Research for Mobile POS systems. I just read an article that interviewed Mike Park, from the Online Security Firm ‘TrustWave’. His year long research into three mobile POS providers found major flaws in some of the providers due to the encryption within the software. He suggested it was much better to use a swipe system of a credit card rather than users typing in their credit card details. 7 features to look out for when using a Mobile POS from a device. Cost: Do you have to buy servers, extra hardware as well as the apps to use the product? How often are you using the product? Is it just for specific occasions or for use on a regular basis? It needs to have both an app and physical hardware that either clips onto the device (such as used in Apple stores) or alternately a separate product that can bluetooth back to the smartphone/tablet. The need to look for multi-payment options for the system you decide to choose. This also means you still need to have the facility of processing cash transactions and then giving a receipt especially at markets and trade shows (since there will be people that will prefer to pay with cash). It needs to be able to do more than just process payments, a barcode scanner is a handy feature for real time inventory for your products and can help customers on the floor of your store or even at a tradeshow/event. Major Bank Providers: Is your device supported by the Major Banks? Is it a Mac or PC based system? In my research, a lot of products are Mac based. What sort of security does it offer to you the retailer/service provider and more importantly to your customers? http://www.questpaymentsystems.com/ – MicroPay system is able to process both credit card chip and pin style cards. It is a mobile companion and syncs with your smartphone or tablet device via bluetooth. LightSpeed: This is a well known product for the retail industry (however it is Mac based). Here is some information from their website ‘LightSpeed Pro for iPad is compatible with the Socket barcode scanner, Infinea Tab, iDynamo credit card swipe, and the Ingenico i6580 terminal for wirelessly processing credit and debit transactions. Vend: One of the clients I recently met with uses Vend across their business and it is web-based (cloud software) and works also with Mac, PC, iOS and Android devices. I definitely think cloud based is a bonus for business owners who then can remotely access vital data for their business. 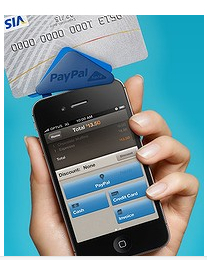 PayPal: Paypal has a few offerings for using mobile devices and it’s latest offering is PayPal Beacon (article from Australian Financial Review). It also released last year PayPal Here which is an app and a physical plug-in that goes into your headphone socket of your mobile device. 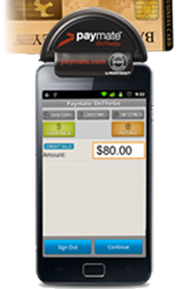 PayMate: This is another option that also plugs into the headphone socket of your mobile device as well as an app. These are just some of the products available for retailers and service providers in Australia. I recommend businesses do their own research as everyone has different requirements. Off to spend a day making dumplings, home-made pasta and using my new mixmaster for some baking. Don’t forget to look at yesterday’s blog post on what banks offer for their mobile banking apps. Have a great weekend, from the Tech Coach.